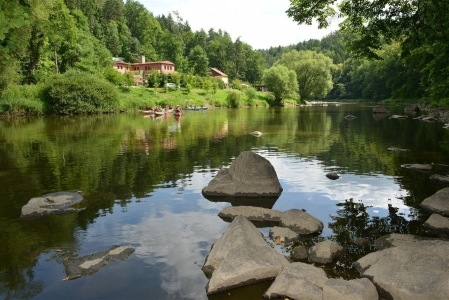 The river Lužnice certainly ranks among the most popular rivers in the context of South Bohemia, beside the Vltava and Nežárka, and it is the most frequently navigated one. Over ten thousand people annually travel down the river in a variety of vessels. 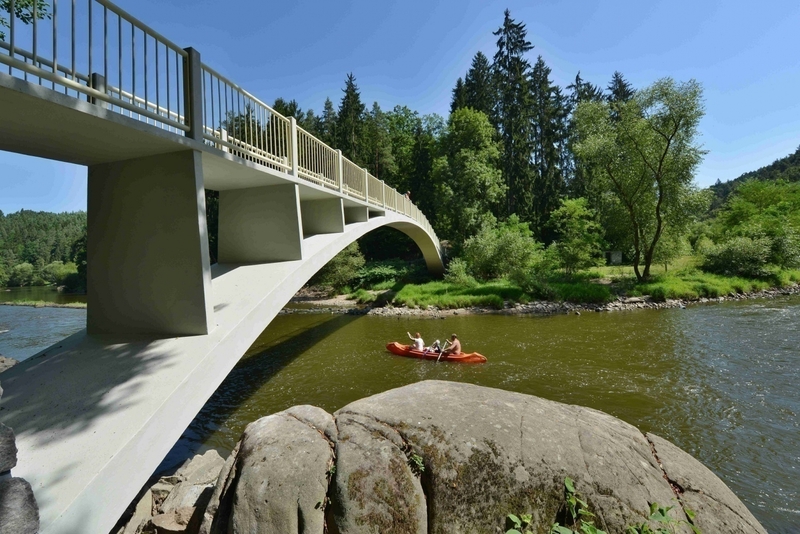 Except for the section between Tábor and Dobronice it is navigable all year round. 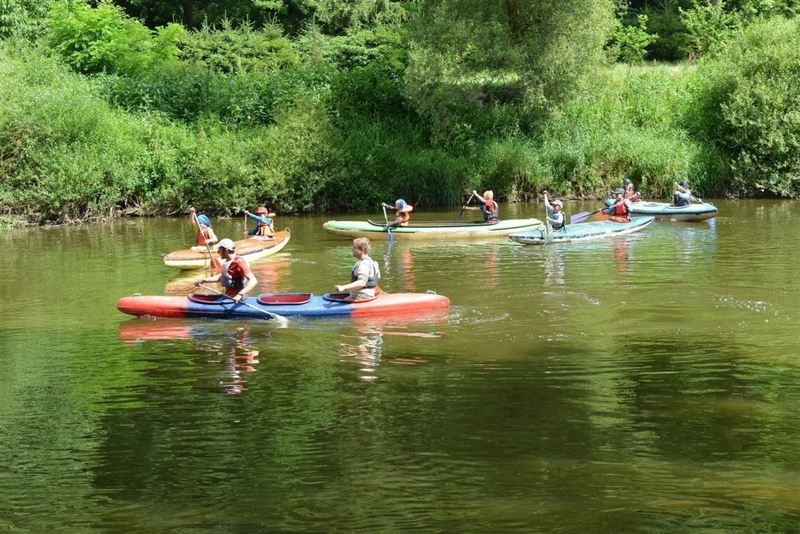 As far as the degree of difficulty is concerned, Lužnice ranks among the less difficult rivers and is perfect for beginners as well as skilled and experienced canoeists. 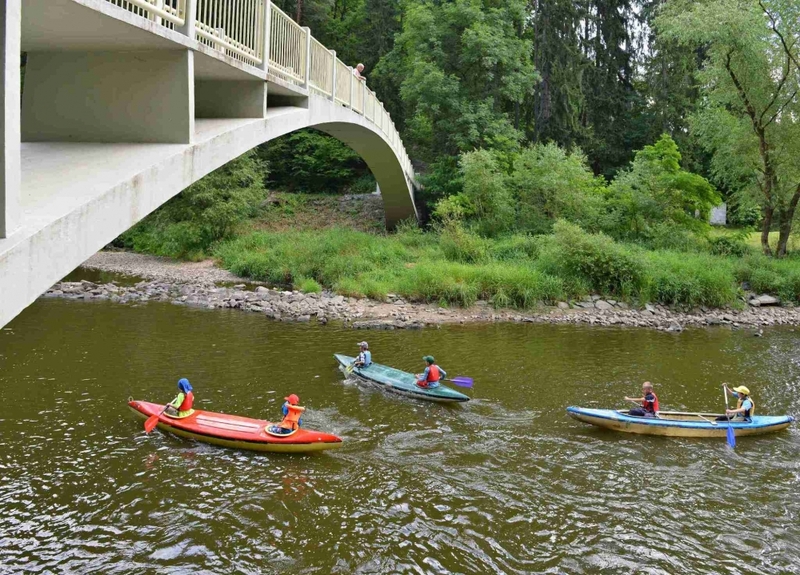 The length of the navigable section of the river is 146 km, stretching between Suchdol nad Lužnicí to the point where the Lužnice flows into the Vltava, and in most places it is a typical lowland river with a moderate, balanced current. The river has several tributaries, some of which are navigable. The largest of them is the Nežárka which flows into the Lužnice from the right near Veselí nad Lužnicí. If you decide to canoe on the Lužnice, you will not have any problems transporting your boats to the river since it is easily accessible from the road in most places. Because a railway runs beside the river too, you can take advantage of a, so called, boat-train. However, the simplest solution is to rent a boat from a boat hire shop, who will transport the boat to your starting point as well as collect it from your destination. Boat hire is available in all the larger towns along the river (in Tábor, Veselí nad Lužnicí, Soběslav or Bechyně). If you are not in a hurry, some interesting places along the river are worth visiting – the towns of Veselí nad Lužnicí and Soběslav or Soběslav Marshland, and last but not least Tábor, where the historic centre rises on a steep hill above the river. You can complete your trip in Bechyně, but before you arrive there you will float past two castle ruins – Příběnice and Dobronice. 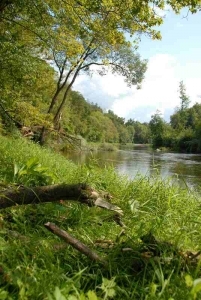 There is a large number of camping sites and canoeists’ camping sites along the river. The section from Tábor to Bechyně (28 km) represents one of the most beautiful scenery of South Bohemian. Canoeing on the river that flows through the beautiful landscape of rocks, forests, many valleys, green meadows and trees on both sides provides a beautiful show and ensures an extraordinary experience. Just outside Tábor a demanding test in the form of rapids and several weirs is waiting for the canoeists followed by a quiet ride with the possibility of refreshment stops. The tour ends in Bechyně near Rainbow bridge by the dock. Hire service will take care of transporting the boat back to Tábor. You can travel back by train on the first electrified railway in the former Austro-Hungarian Empire (opened in 1903) or by bus. Vlásenický brook (right side tributary of the Lužnice, listed for natural excellence), Příběnice and Příběničky castle ruins, Stádlecký bridge – chain bridge (listed for technical excellence), Stádlec – a Renaissance castle from the 16th century, Dobronice castle ruins, Bechyně – a historic spa town with a long tradition of ceramics production, the most significant sight is the castle from the 16th century which is open to the public; worth seeing also is the Fire Fighting Museum, the Aleš South-Bohemian Gallery and other places. A detailed canoeists’ guide for the River Lužnice is published by Shocart (1:50 000). Places to park and load/unload your boats to/from a trailer. Parkoviště u restaurace Na Brusírně, Údolní 3015, Tábor.